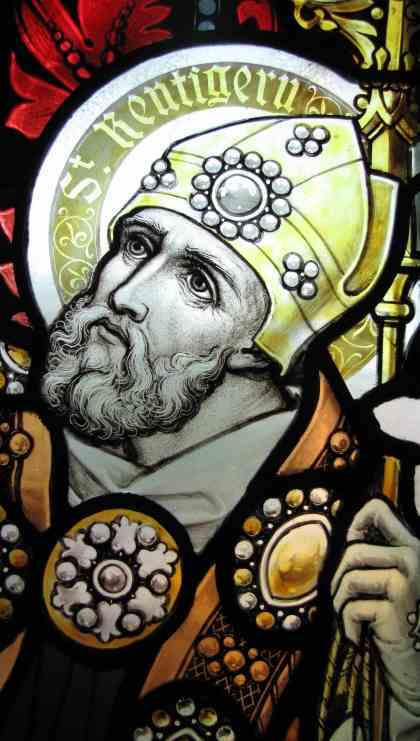 Welcome to the website of the Parish of Christ the King and St Kentigern, Blackpool. Christ the King and St Kentigern are a community of faith witnessing to the presence of Christ and proclaiming his Good News. We are a worshipping community celebrating meaningful Liturgy. 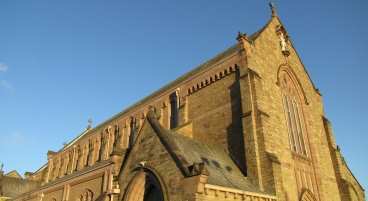 We are part of the Blackpool Deanery, the Diocese of Lancaster and the Universal Church. We are a sign of Christ's presence in this area of Blackpool welcoming all to share in our parish life, church, schools and Parish Centre. Conscious of our human failings we acknowledge our need for continuous reconciliation and forgiveness. 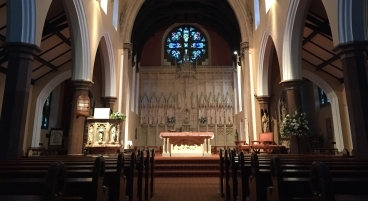 Christ the King church is just a stone's throw from where the first Catholic Church for Grange Park started. The first Mass took place at Layton Hill Convent (now St Mary's and Christ the King schools) in a converted Shippon on 30 January 1949 before anyone had any real idea of how Grange Park would take shape. A few years later on 13 June 1954 Christ the King church on Chepstow Road was opened by Bishop Thomas Edward Flynn which served until the current church was opened on 11 September 2014 by the Bishop of Lancaster, Bishop Michael Campbell OSA. Blackpool grew at a rapid pace in the late 19th century and as such a new parish was required to cater for the increasing population. The parish of St Kentigern was opened in 1904 by the Archbishop of Liverpool, Thomas Whiteside with the school and church in one building (the present day Parish Centre and school). 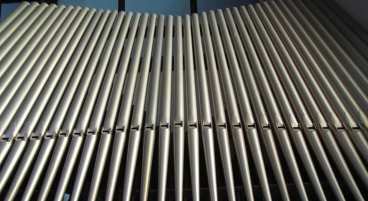 Due to the expanding congregation a new church was built in 1932 which stands to this day. 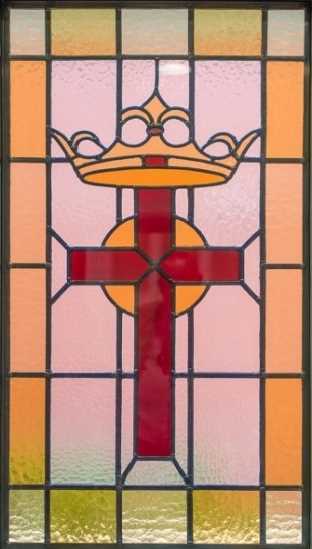 In 2014 St Kentigern's parish and neighbouring Christ the King parish were merged to become the Parish of Christ the King and St Kentigern. Weekday Mass times may vary from week to week due to the liturgical year, feast days, funerals or to accommodate school holidays. Check the latest Weekly Bulletin for up-to-date details, a general schedule is below. 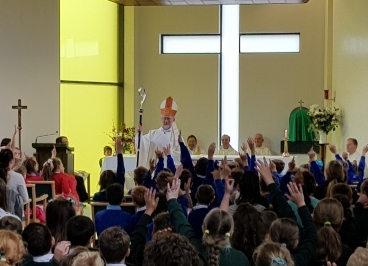 Our Parish is served by two primary schools, Christ the King Catholic Academy and St Kentigern's Catholic Primary School and a secondary school, St Mary's Catholic Academy. Christ the King and St Mary's Catholic academies are part of the Blessed Edward Bamber Catholic Multi Academy Trust. A community whose character and daily life are centred on the person of Jesus Christ and informed by his teaching and values. We are a partnership of families, staff and parisioners providing a caring and secure environment in which all can flourish. We value each child as an individual with different strengths and needs. A Catholic Secondary School where prayer and reflection are woven into the fabric of the school's life. The universal message of the Church and its call to new life encourages us to value every individual as precious in God's sight. The distinctive education offered at the school includes the continuing development of morals and Christian values. 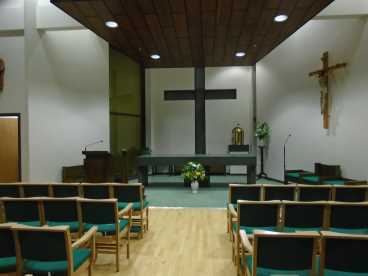 Part of our parish community of faith, which helps our children to develop their spiritual, mental and physical abilities to their highest possible potential, by prayerfully basing their lives on the teachings and values of Jesus Christ and his Church, while recognising and respecting the beliefs of others. All of our schools are supported by the Diocese of Lancaster Education Service and are members of the Catholic Teaching Alliance. We run popular programmes for Baptism, First Holy Communion, Confirmation, Marriage and RCIA (Rite of Christian Initiation of Adults). Our First Communion programme runs in the Spring and is typically for children aged 7 (school year 3) and over. The Confirmation programme runs in the Autumn for children aged 10 (school year 6) and over. Evening preparation classes for parents and children are run in the lead up. Baptisms and Marriages are by arrangement and we ask that you attend preparation classes for both. For further information on joining one of these Sacramental Programmes or becoming a Catholic as an adult through the RCIA programme, speak to a priest after Mass. We are fortunate to have two religious communities working within the parish, the Society of the Holy Child Jesus and the Handmaids of the Holy Child Jesus. The Sisters work within the parish in a variety of ways including administration, visiting the sick, working in our parish Schools and assisting with Sacramental Programmes. Contact Sister Anne or Sister Philomena on 01253 275439. Contact Sister Harriet via the Parish Office. Fr. Andrew Dawson is the Parish Priest of Christ the King and St Kentigern and the Catholic Chaplain to the Blackpool Victoria Hospital. Appointed in January 2018, he has had previous appointments in Kendal and at Lancaster Cathedral. Before being called to the priesthood he had a career with Sainsbury's and was a member of the L'Arche Community in Preston which provides residential care and support for people with learning disabilities.